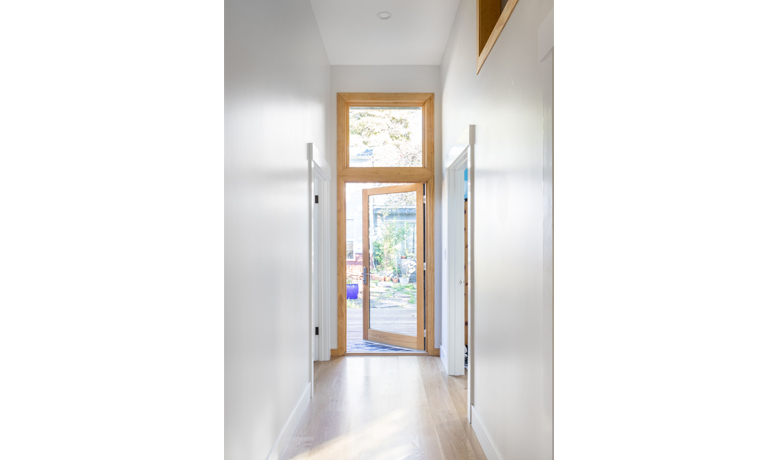 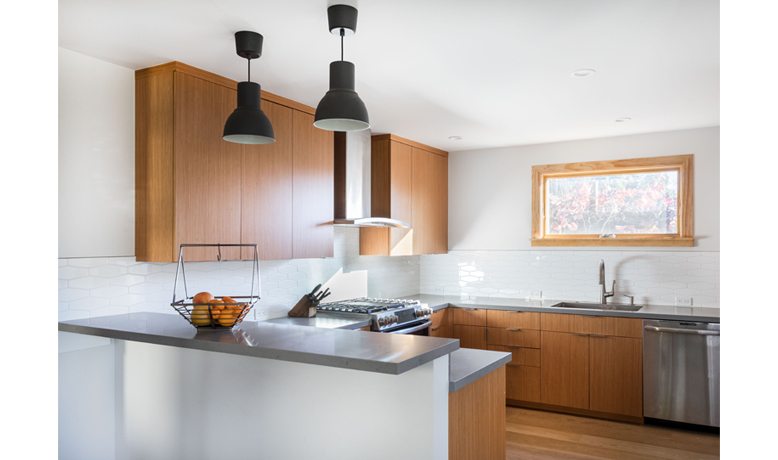 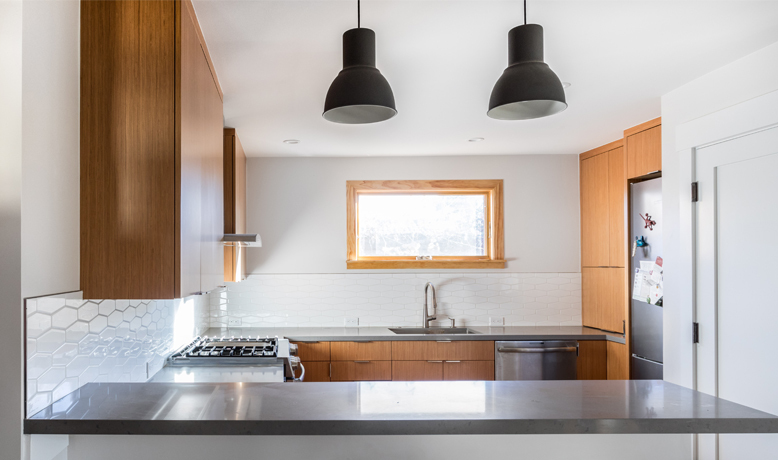 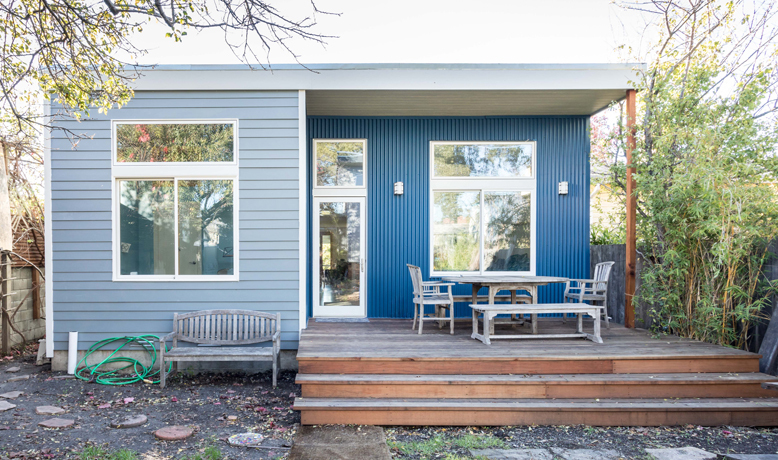 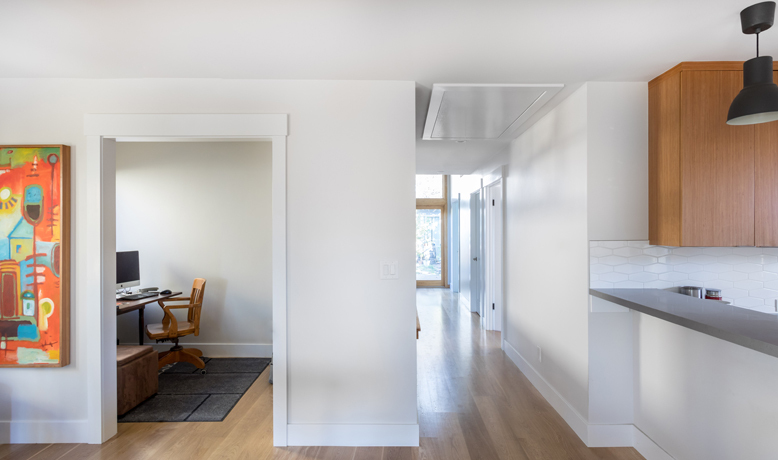 A second project at this west Berkeley home is tucked behind an existing, non-descript bungalow. 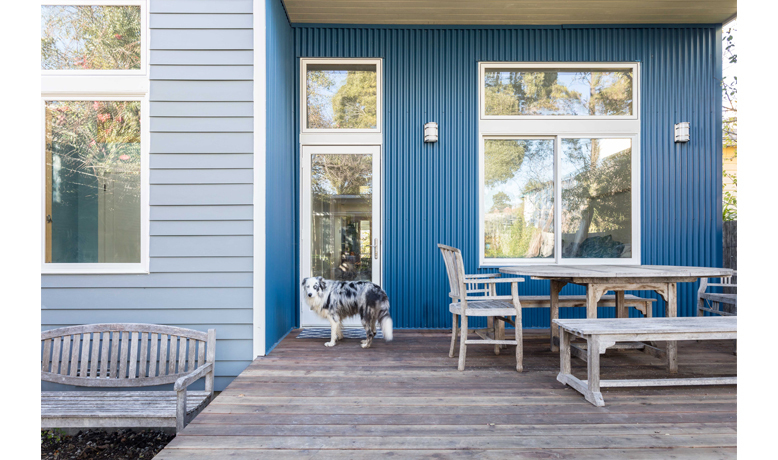 The addition, clad in corrugated steel and variegated fiber cement siding, provides a master suite, bedroom, and bathroom to the former 2/1 home. 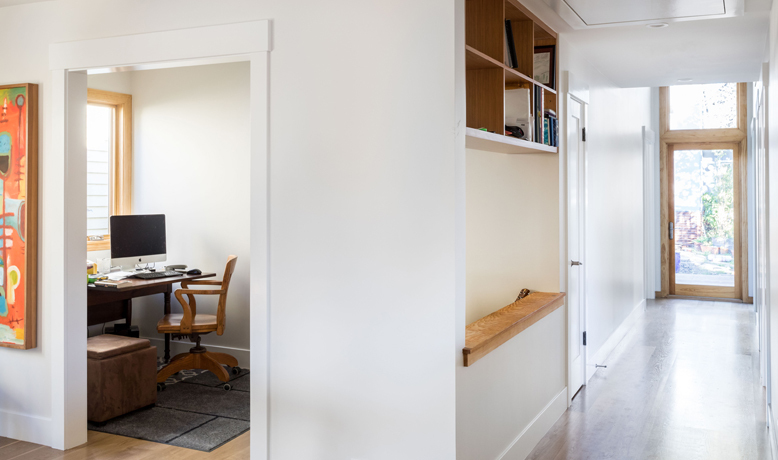 The living areas were also completely renovated to create an open floor plan, and work area. 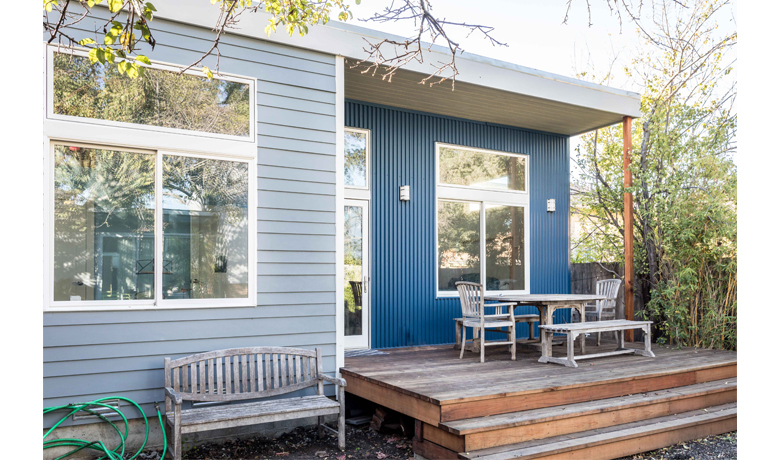 The design complements a previous backyard studio at the same site.